Vice President Joe Biden has recently fed into the main stream media’s growing White House side story — his “single handed war” on the past Bush Administration. 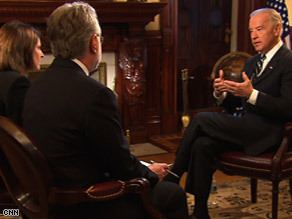 The latest chapter in the proposed saga came in the form of an interview unrelated to the subject, where Biden, in the process of answering the more or less softball question of “is the US more safe now than before”, made a controversial attack at former President Bush. Although it isn’t hard or illogical to start with jabs towards both sides in this debate — in my view its important to step back and take a look at what isn’t in this equation, and why. Looking back into the illustrious and brilliant Obama/Biden campaign, one might recall the many Bush attacks that took place, which most of the time ended in long, back to back ad campaigns that I believe played a role in Obama’s overall win in the polls. These attacks were fully backed, and ruthlessly pushed forward by the Obama campaign, whether they started via mistake (i.e. Biden’s Indian Gaffe) or for a political gain. But now, as we see another attack initiated, President Obama has held back, unlike the past candidate Obama. So why? My view is that Obama doesn’t believe Biden picked the best fight in the best time. In a time where the Oval Office is already juggling domestic and international congressional problems, as well as the new policies trying to are trying to implemented, most of the official word coming out of the White House has been positive. And because of this, the right wing is more or less starved of talking points to get out into the press — as they would be taken second stage to the President’s news, which is essentially flowing out in a more of less politically healthy way. So now that something has indeed come out as an attack, I wasn’t exactly surprised to see a response from the unofficial GOP within the day. Karl Rove, whether himself or a PR coordinator, sensed that this was the loophole that was exactly what they needed and politically pounced on it. And it was in fact a good idea. Vice President Biden does in fact have a reputation of both sides of the aisle of stretching the truth, and I am more than assured that this alleged “conversation” did not exist. And because of this exaggeration and Rove’s seasoned ability to pounce, he has created a handle for the White House in the GOP — Joe Biden’s mouth. But again, there are many ways to play something like this, so I’ll open this up to the commenters: Where was Obama in this exchange, and why did he stay out of it? Why was a Secretary Clinton chosen? The UK’s guardian calls it a reach to a former enemy, but I personally disagree, mainly being the simple reason of importance. A position this high can not merely be given for a photo op and PR, especially in the position we are in now. I’ll leave this brief and open it up to the commenters. In conclusion of two gruesome years of brutal campaigning and rhetoric, global attention and nationwide anxiety, a president has been elected in the form of an eloquently-speaking 46 year old — Senator Barack Obama. The opposing party has since acknowledged their defeat and seemingly ambled in the direction of moving on, but anonymous political finger pointing from John McCain’s aides at to past running mate Sarah Palin and back have sparked various amounts of media airtime, and again the media bias topic has been thrown onto the table. So in final closing of the election, this question is more or less ready to answer: is the media in fact biased to one side and if so, by how much? I think that in looking at this topic, many can see it in very different ways, based on their political views from the election. It is not a rare sight to see both liberal and conservative blogs and strongly left or right press outlets sending out daily attacks at the media, and that is not where or what would be constructive to do in actually answering this question. Instead, what we have to work with are simply facts and what has happened. Blame in this corner generally comes from clips of news anchors strongly defending or attacking a political figure, which can be taken in different ways based both on the context and the topic. Fox News, attacked daily for bias, has in fact been “exposed” numerous times of taking anti-Obama clips from interviews and failing to air the rest, which most of the time is in fact against McCain. And respectively, frequently attacked MSNBC has not only been accused of bias toward Obama, but has also devoted air time to attack the supposed “right” media. But with this aside, to accuse the media of bias is more or less a completely impossible argument to complete in a non-partisan manner. The talking heads most politically attacked are merely hosted by media outlets and not necessarily backed by them — with the exception in my opinion being Bill O’Riley. But in fact, I enjoy viewing O’Riley even though I know him as conservative, in the same way I enjoy watching Keith Olbermann because I know him as a liberal. But above this, I honor both O’Riley and Olbermann for simply attacking each other, brutally pointing out mistakes in simply the form of media that we Americans have come to know. I personally perceive Fox News as conservative and MSNBC as liberal, but have come to not simply face these facts, but absorb both in light of what each media outlet has to say, and take it into context when choosing what to believe how to believe. So I’ll open this up to the commenters: What do you think — is there bias in the media, by what magnitude, and how is it perceived by you? An interesting point was raised in a past comment section by Huxbux, who questioned that the recently news-absorbing election wasn’t as unique as it has been perceived to have been. This past election was in itself extremely fragile, but in my view held a surprising turnout as far as the political paths both campaigns took. This quote’s accuracy, however, flows directly against reality. The McCain campaign was in its entirety a momentum stricken campaign with one weakness: the party and president it was overshadowed by. But what proved to be a more or less fatal flaw and now a strategic focal point, McCain essentially played away from his original advantage — and into the hands of Barack Obama, the Economy and George Bush — via a relentless blacklash attack campaign and an obvious disregarding of past political strategy with a PR boost as a running mate. And this is precisely what game Barack Obama the political momentum he needed, and as it is said, the rest is history. But in a completely different manner, I believe that the main reason Obama won is also the main reason that this historical election was indeed unique — Obama didn’t win purely on strategy, the most notable show of this being the youth. In short, never before has one political figure been so extremely accepted by the youth and never before has such a political barrier been placed between the youth, but most impressively — never before have I personally felt such an urgent and strong vibe within my surrounding classmates and school on any issue. I think that if studied from a less strategic standpoint, Obama has truly been a transcending figure across the United States, and the globe for that matter, but his and this past election’s uniqueness has been shown almost completely by the youth. On the morning of August 20, Barack Obama and John McCain were in a virtual dead heat for the White House. Obama was five days away from the Democratic Nation Convention, where his campaign hoped to put in a press swing that would ride him through the GOP’s Convention. He was also riding up attention for his extremely anticipated Vice Presidential decision, as his anxious base and the country alike stood at a standstill. But as the infamous truth holds, none of this essentially played out — Sarah Palin was standing in the way. Blanketing world news, Palin’s entrance to the global stage both wiped clean any and all publicity from Obama’s historic convention and in doing so started a “press wildfire,” exploding into the media for weeks, then months. But now, as we look back on late August, the daunting shadow in our minds looms between McCain, the press, and the oval office — the polls. Gone from a dead heat to a widening eight point Obama lead, McCain’s promising late August media swing has seemed to backfire. And as early ballots begin storming in, the McCain campaign finds themselves in a run against the media, the independents, and finally, against Sarah Palin. Politics is an extremely fragile game in itself. Taunting some and seeming vague to others, political moves are to be perceived by opinion — the Sarah Palin pick being no different. As a thirteen year old not effected by voting week or polls, it is more or less clearer to see the strategic effect rather than the emotional toll, and in that respect I believe that the choice of Palin as running mate has essentially the snowball that has turned into an avalanche. Palin’s political entrance in the McCain campaign put an extremely positive effect onto the conservative base, but in doing so moved the McCain campaign significantly to the right. 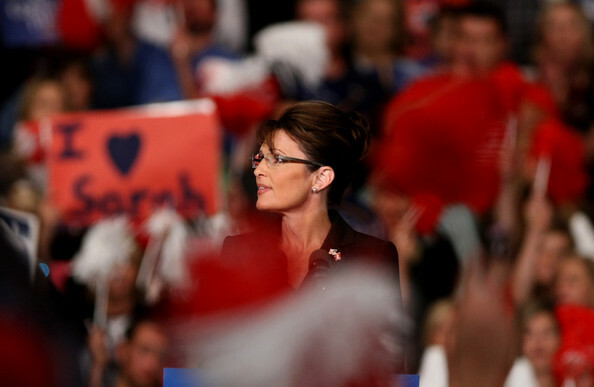 In addition to strategically abandoning liberal Republican voters and the center, Palin opened the McCain campaign up for examination from almost every political side of the isle, detailing that Palin was the female form of President Bush — far right in many of her individual policies. But what interests me is that the McCain campaign didn’t solely defend Palin, but set off an array of attack ads to the left, sending off the first signs of agitation from his campaign. And as Obama simply defended them with response press statements and ads himself, the media simply caught on, causing many have accused the media of — bias. 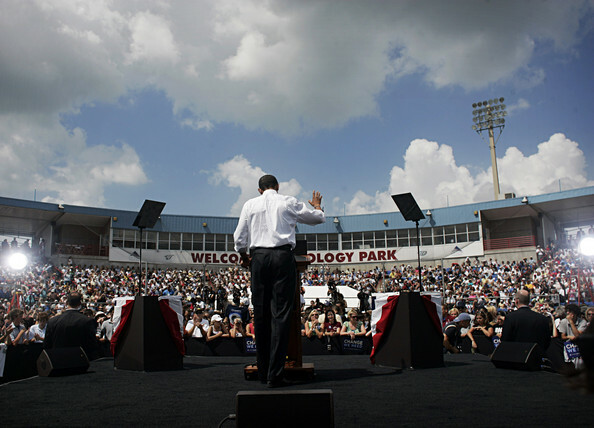 The Obama press endorsements kept racking up, backing the McCain campaign closer and closer to the wall. 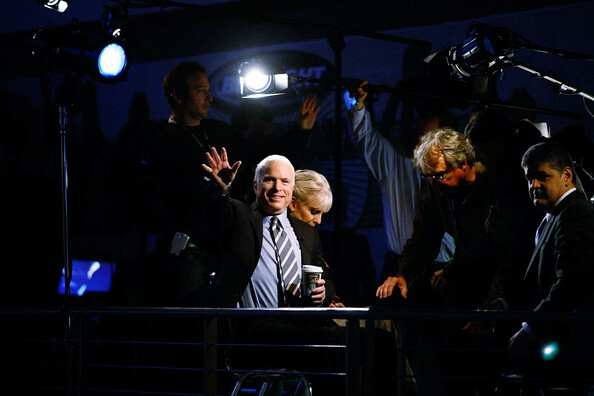 The press had caught the strategic unstableness of the McCain campaign, and simply reported it. McCain, in a deeper and deeper hole, executed the response that ultimately will keep him out of the oval office — more attack. Strategic failure and a political gamble have brought the McCain campaign to their knees — and this is why, as the Fall leaves are raked off the street and world politics comes to a standstill on November 4th, we will see a President Obama elected. With less than a week until the voting booths draw themselves open, both candidates find themselves in the vital battlegrounds, but also engaged in arguably the most tactically important stretch in the election. And because of this, we are now starting to see different strategy in the press and in both campaign’s speeches. 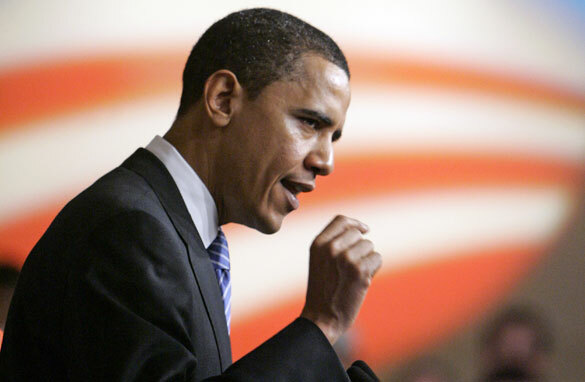 Dubbed “the closing argument,” Obama has, perhaps surprisingly, fully reworked his recent string of stump speeches reminiscent to his early primary victories, in a sense summing up his campaign. The speeches consist less of attacks to the other party, rather a more “dreamy” and crowd pleasing stump made up of policy proposals. But what is the most interesting is that the Obama campaign has essentially changed its entire framework from the present economic situation and policy attacks to a more or less futuristic tone. 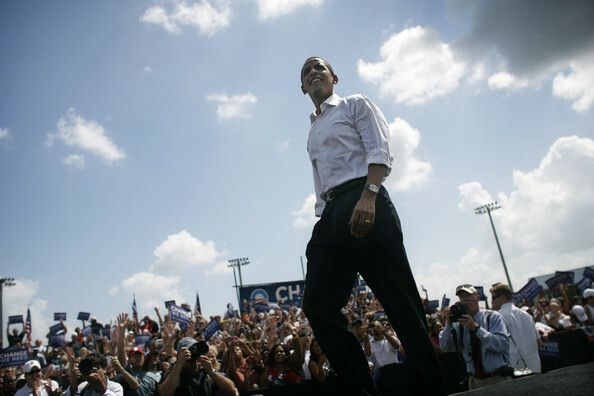 Obama has, however, hit home on one present-oriented message, what he calls the one week campaign, where the Democrats have stressed that the “future of America” depends on the action in the next week of campaigning. The Obama campaign has also leaked and later confirmed reports of a thirty-minute campaign ad set to air in most national television stations, and most notably during an (if necessary) world series game 6. But the most ironic catch to the Obama campaign “closing argument” and PR ploy has been that it simply has not been countered. Seemingly unaffected, the opposing McCain campaign has not yet put up any hint of tactical rework in their campaign in response to Barack Obama’s future oriented campaign change. McCain’s latest Pennsylvania campaign stop was capped off with nothing less than expected, a well-rounded attack and policy proposal speech that showed no sign of contrast from recent weeks. To open this up to the commenters, simply: what does this mean for the remainder of the election — and will McCain change his campaign in response to Obama?